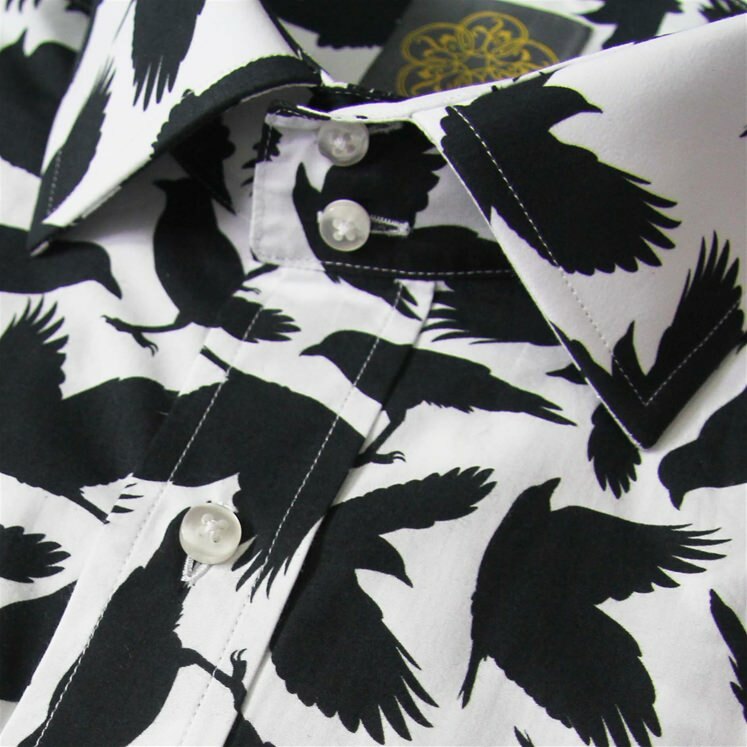 Mens patterned cotton shirt from the latest Gresham Blake collection. 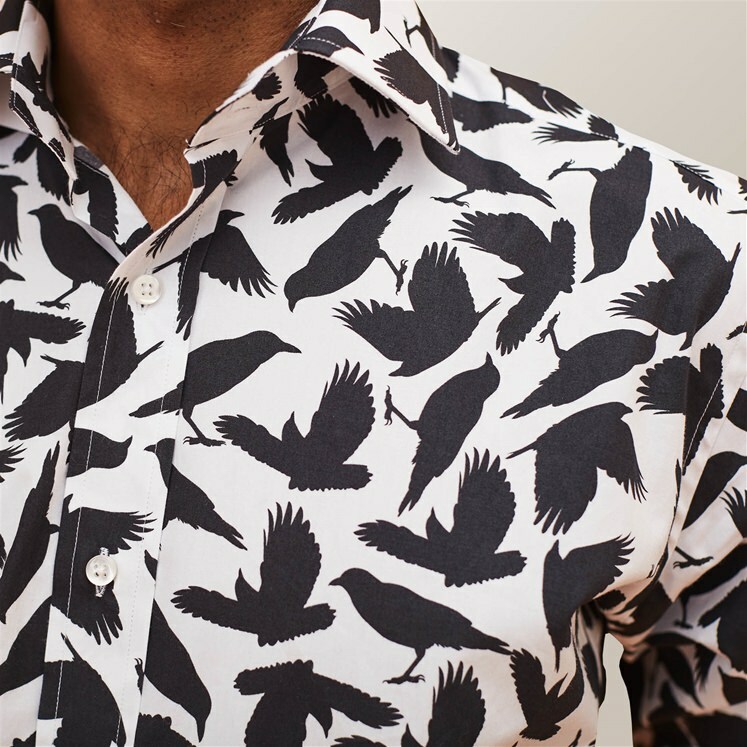 A limited edition design in white with a murder of crows pattern repeated throughout. 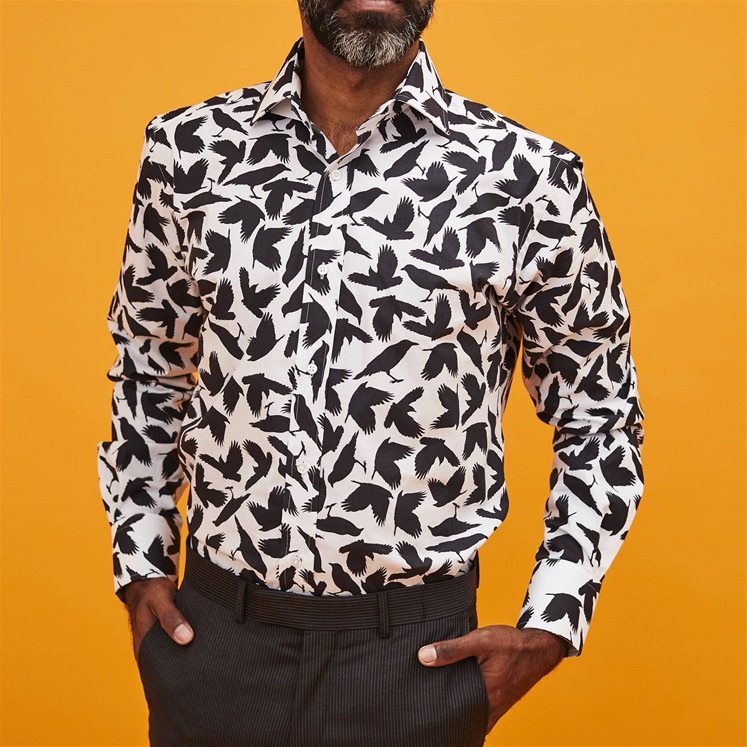 Single cuff and button fastening. 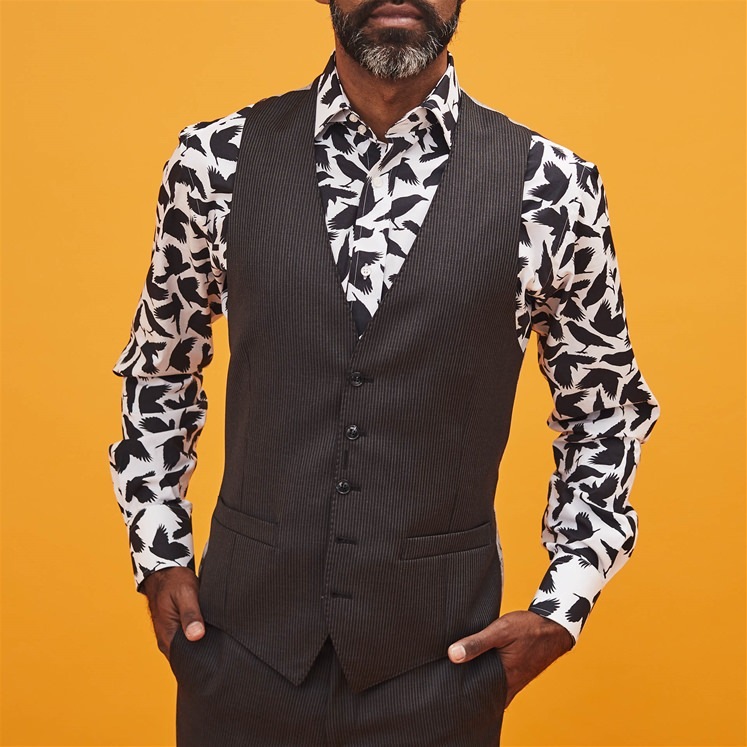 Semi cut away collar. Tailored fit.